A Givi TankLock Tank Bag installs on your tank using a bike-specific mounting ring that bolts around your gas cap. This keeps the install looking clean and makes removal for filling up a breeze; simply unclick it! Mounting rings sold separately, see Givi Tanklock Bike Specific Flanges. 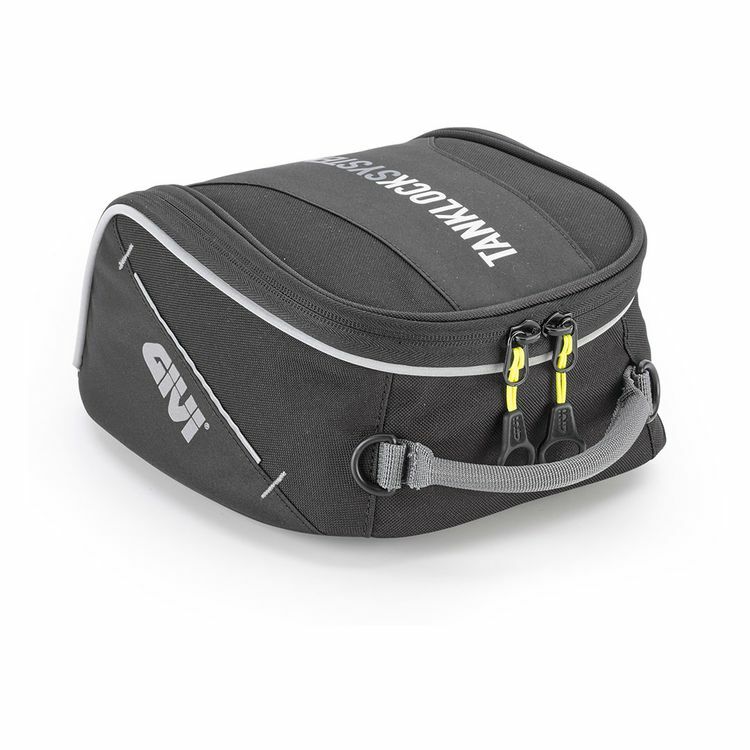 Note: The Easylock fitting system requires a Givi Bike Specific Flange (sold separately).